Ten years ago, craft cocktail bars were nearly non-existent in San Antonio. 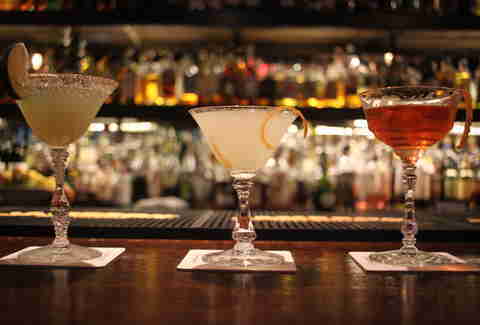 Now, our city has a bevy of bars with masterful mixologists as well as a world-renowned conference devoted to the craft. 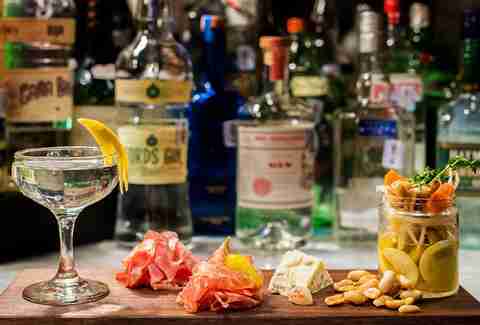 We have found that best way to experience cocktails is to, you know, venture out and drink them, so these seven high-quality drinking establishments are the spots to imbibe. Ordering directly from the menu at The Brooklynite is encouraged as the drinks are works of art -- but, if you let the barkeep know your tastes, they will make something tailored just for you. Owner Jeret Peña is all about customer service and satisfaction and his philosophy is reflected through the care his employees put into their work. If you need guidance, start with a Summer Pimm's, made with house pineapple gomme, lemon, cucumber, salt, and Topo Chico; it's ideal for a steaming summer day. The Esquire opened its doors in 1933 in celebration of the end of prohibition and has satisfied an alcohol-starved city of San Antonio ever since. It's obvious that beverage director, Houston Eaves takes pride in his work -- the drinks are classically made and true to the Esquire's rich history. Always dark, loud, and crowded, the bar's ambiance hasn't shifted much since its early beginnings. So fight your way through the crowd and up to the bar, order a Wonderlust King (rye whiskey, Amaro Nardini, vermouth, xocolatl, and orange bitters) and enjoy the scenery. If you’ve been following San Antonio’s cocktail renaissance, you are familiar with Jaret Pena. If you haven’t, you at least know his products: besides The Brooklynite, which we’ve already mentioned, Pena’s the mastermind behind spots like The Green Lantern and he helped reshape The Esquire into its current iteration. 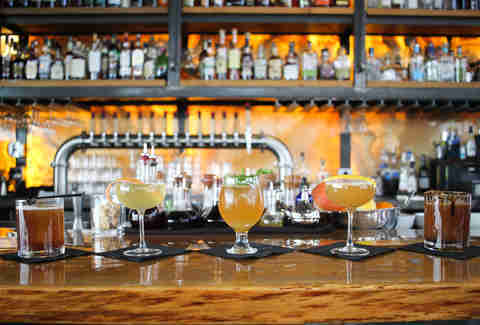 After leaving that Downtown spot, he formed the Boulevardier Group; The Last Word, opened in 2015, is the first concept from the group.The bar offers 15 cocktails on tap in addition to any traditional cocktail your heart desires. As with any establishment that Pena has a hand in, the bartenders shun pretentiousness and will jump at the opportunity to help you understand the menu. Start with the Seasonal Julep and work your way from there with the help of some experts. 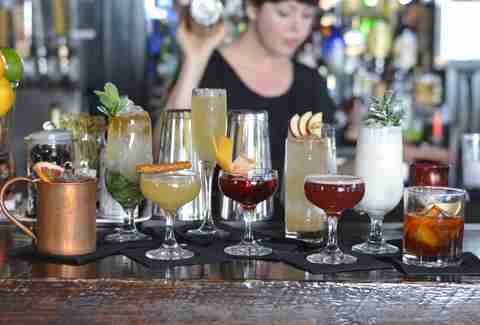 Southtown's swankiest bar deserves the admiration it gets. 1919 might be crowded, loud, and expensive but the drinks are consistently delicious. 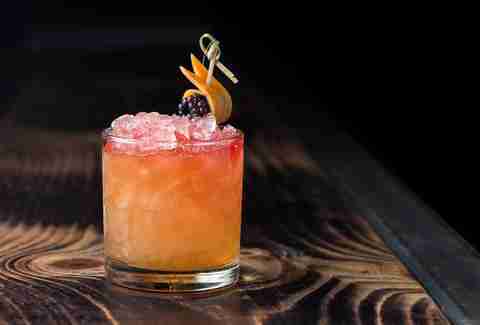 Check out the Rathbone -- made with tequila, absinthe, and ginger syrup it will have you feeling excellent quickly. The venue is small, so be prepared to stand or fight for a table -- whichever comes first. With it's pristine views, glowing backdrops and boutique furnishings, San Antonio's first rooftop bar could have coasted on aesthetics alone. But the bartending at Paramour is exceptional, dealing from a barrel-aged cocktail menu that's been refined at crew's previous stops at The Pearl and the late Arcade Midtown Kitchen. If you're loaded, check out their selection of Pappy Van Winkle -- the world's most sought after rye whiskey and sip it as you look over our beautiful cityscape. 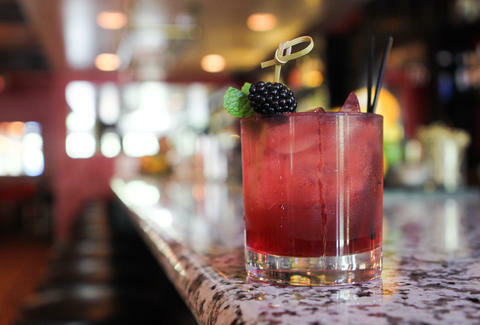 A little further north, Bar du Mon Ami effectively serves the Alamo Heights neighborhood with a wide array of strong cocktails. With plenty of space for large parties, dates, and single patrons, the bar places a strong emphasis on ambiance, but doesn't forget about the drinks. Check out the Basil Collins, if you need a suggestion. Made with a hefty dose of juniper and basil, the potent drink is a great way to cool off this summer. Barbaro slings out some excellent cocktails in addition to their already famous pizza. The venue is small, dark, and perfect for huddling up to the bar and talking alcohol with one of the talented bartenders. The drinks are carefully designed and change seasonally, so try not to fall in love with just one. Best thing about all of this? Easy access to cheesy pizza whenever you need it.